Being a good neighbor is a standard to live by. And good neighbors help one another. As Romans 13:9 indicates, it’s a norm for how to treat one’s neighbors. To some extent, this type of “win-win” situation sometimes occurs in nature, as is often (though not always) illustrated by the relationships of some birds — the best examples are Cattle Egrets with domestic Cattle, as well as with other large mammal herbivores (such as bison, water buffalo, bison, horses, zebras, giraffes, antelope, etc. ), as the large mammals graze in tall grasses where bothersome insects and parasitic ticks abound. 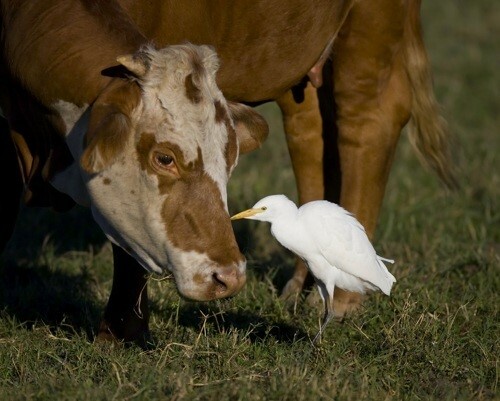 It should be no surprise that Cattle Egrets associate with cattle, picking (at and eating) bugs that pester those noble (and vulnerable) bovines. The term used by ecologists, for this “win-win” relationship, is mutualistic symbiosis. In other words, they help each other as good neighbors should! When cattle egrets tag along with cattle, whose quadrupedal movement through pastures (or non-agricultural grasslands) stir up insects or all kinds, the cattle egrets opportunistically snap up the dislodged bugs. Likewise, Cattle Egrets are not shy about perching atop cattle, to eat whatever insects or ticks (or insect larvae) may be trespassing on beleaguered bovine bodies. The benefit to the birds is obvious – convenient meals, either on the bovine skin or in the stirred grasses that bovine feet brush against (causing bugs in the grass to show themselves as moving targets as they flee the bovine hooves). Yet the benefit inures to the cattle, too, because they have no hands to dislodge the pestering bugs (many of which are noxious parasites) off their backs – or to shoo away bugs that initially flit about near their feet, perhaps soon to light upon the bovine’s legs or back, to do what many bugs do – such as blood-sucking fleas or ticks or mosquitoes. The bugs really bug the bovines! – some are annoying parasites! – so the insectivorous habits of the bug-munching birds are a welcome-relief-providing blessing to the cattle. 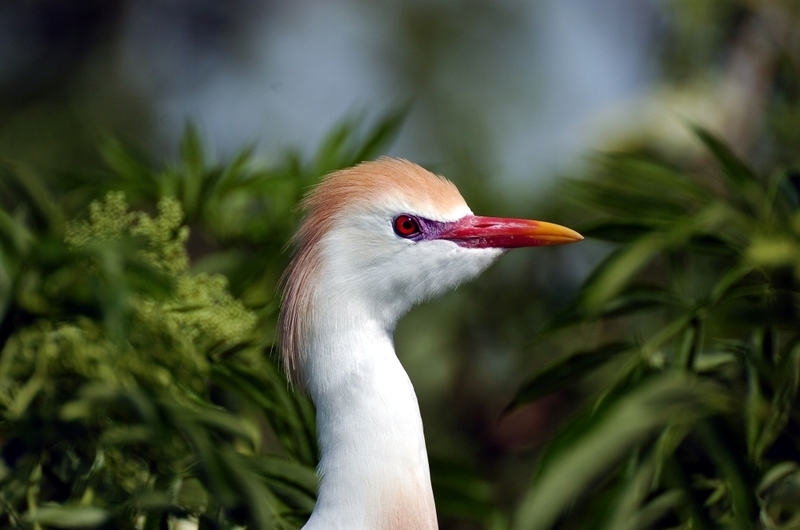 Actually, the Cattle Egret is an African emigrant – Cattle Egrets migrated from Africa to South American almost a century ago. 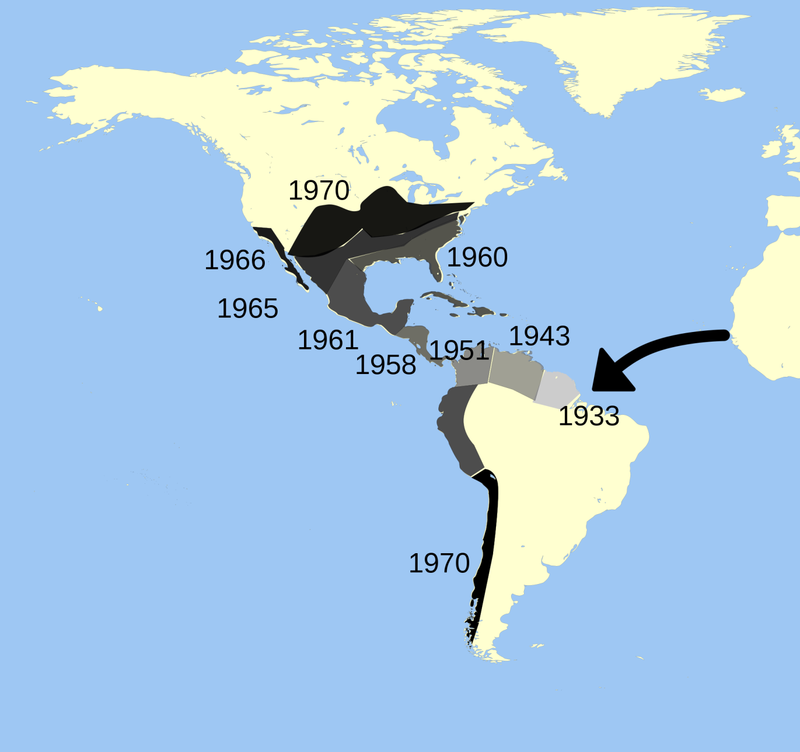 (See range map showing migration.) Migrating northward, Cattle Egrets quickly colonized the southern regions of North America too. A few examples are given below, using a “photo-journalism” approach – the pictures tell it all, or at least tell a lot! 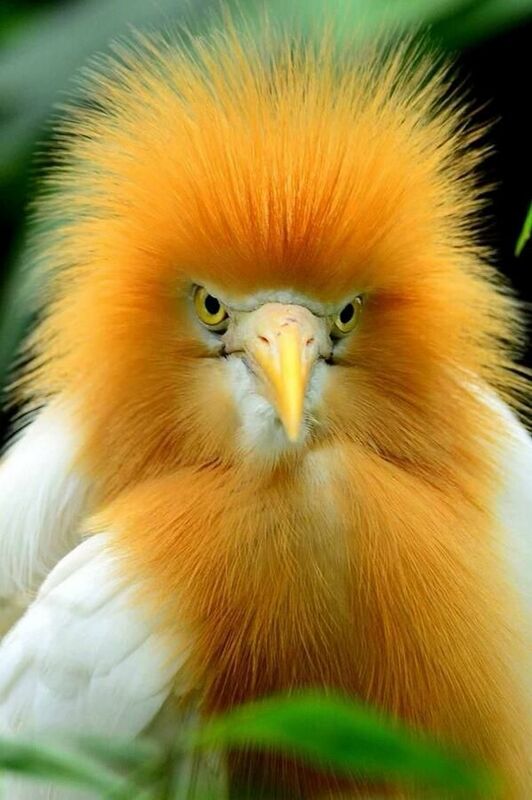 CATTLE EGRET (Bubulcus ibis), of North and South America, most of Africa, and parts of southern Asia and coastal Australia . More examples could be given – but this is enough to illustrate the trend! Birds of the Bible – Honeyguide? 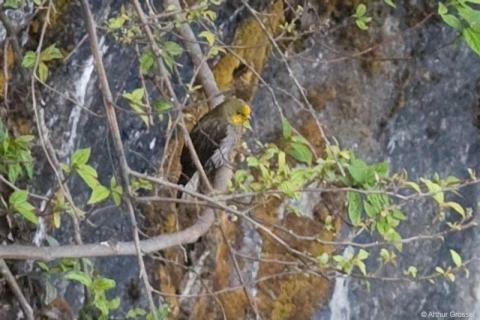 The Honeyguide is an interesting bird. They are not mentioned specifically in the Bible by “name”, but all birds are mentioned whether named or not. The Lord God created all of them on the fifth day and declared them good. Honeyguides love the honey, wax, larvae or whatever else is found in the honeycomb. In fact, it was created with such a cooperative instinct, that it helps others find the honey and in return, it gets fed also. The scientist today call it “mutualism” or “sembiotic relationship”. There is a Honey Badger (Ratal) that can’t see so well but loves the same things in the honeycomb and the Honeyguide “guides” it to the honey source. The bird first finds the bee’s nest, but since it is too weak to tear the comb apart, it finds the badger. Then by flitting its wings and making a fuss, it slowly leads the critter to the nest. He or she, does the hard work. The badger tears the bee’s nest apart with its paws and enjoys the meal. There is always enough left over that the bird gets its share of the meal also. Of course God has given the badger its instinct to let the bird lead it to honey also. They both need each other to make this work. The Lord Jesus even was served fish and a honeycomb after His resurrection. The Honeyguide is in the Indicatoridae Family which has 17 members and are in the Piciformes Order. Recently three of the birds were changed from Honeyguides to Honeybirds, but they all love honey. Most honeyguides are dull-colored, though a few have bright yellow in the plumage. All have light outer tail feathers, which are white in all the African species. 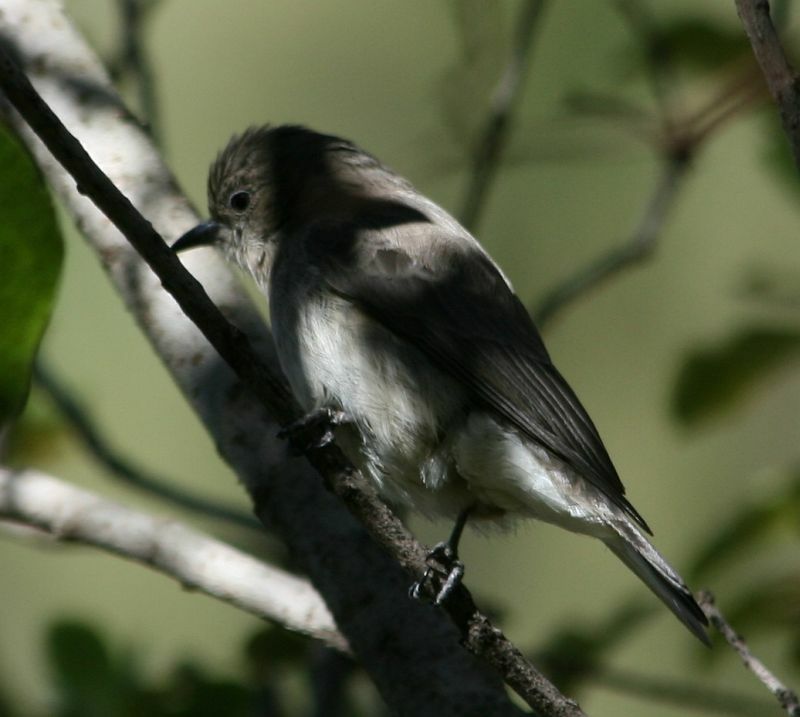 The two honeyguides, the Greater Honeyguide and the Scaly-throated Honeyguide, are the most studied for this behavior.